Our toughest game of the season is up next, in my opinion Chelsea are by far the best team in the league and this will be a tough game to take anything from. If I said definite defeat tomorrow hadn't gone through my mind then I would be telling fibs, Chelsea look very good this season and at times have looked unbeatable. I have to say that more than anything, I am looking forward to this test tomorrow. If we can give a good account of ourselves it will give us some more much needed confidence and it will also send a renewed message out to the rest of the league that we are opposition to be taken seriously. So what do we look to tomorrow to help us take something from this game? That is an easy one for me, our defending is key. Chelsea are very strong going forward, Drogba is in great form and then when your not worrying about him you have to keep your eyes on the likes of Anelka. I should imagine that if our midfield do not play a little deeper than they have been lately Chelsea will run us ragged, on top of that Toure and Lescott will have to be on their game to handle Drogba's bullying style of play. We can score goals against anybody I believe, so the defending must be put first by Hughes tomorrow. Luckily for us coming into this game some of our players have started to return to form, in particular SWP, Lescott and Bridge have started to play a lot better than they have been. Two of those players are ex Chelsea players so hopefully they will have something to prove, Chelsea never really gave SWP a fair crack so hopefully he will be on the top of his game to prove them wrong. Bridge should also want to prove something not just to Chelsea but to Capello considering Chelsea will feature England's first choice left back Ashley Cole. I really wouldn't put it past City to spring a surprise on a lot of people tomorrow and beat Chelsea and although Chelsea are a great team it is not impossible for us to do exactly that. This is yet another game where we will see just how much some of our players want to help us to be considered as a top team. Craig Bellamy and Stephen Ireland might both miss out with knee injuries, Vladimir Weiss is struggling with illness and may also miss out. Martin Petrov is fit again and should make the squad, Robinho and Nigel de Jong are ready to come back into the squad after being rested in midweek. Salomon Kalou is set to miss out with a thigh injury and Jose Boswinga is also out with a knee injury. Petr Cech, John Terry, Frank Lampard, Michael Essien, Didier Drogba and Nicolas Anelka are all expected to come back into the starting line up. 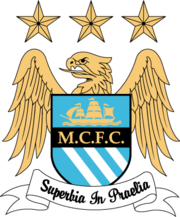 Possible Man City Line Up: Given, Richards, Toure, Lescott, Bridge, Wright-Phillips, Ireland, de Jong, Robinho, Tevez, Adebayor. Possible Chelsea Line Up: Cech, Ivanovic, Terry, Carvalho, Ashley Cole, Essien, Lampard, Ballack, Deco, Drogba, Anelka. My Prediction: Man City 2 - 1 Chelsea. Worth A Bet: Wright-Phillips scores in a 2 - 1 City win. Looking forward to this one as, in a way, the pressure is actually off. Chelsea are playing that well that, particularly coming off the back of making Arsenal look ordinary at the Emirates, City are expected to be beaten. Despite the fact that the past two months have been filled with constant under-achieving and, of course, draws, I still look at our team on paper and feel it is capable of anything. Exactly what, we're not sure yet - but we have seen glimpses. Much will come down to Hughes' team selection and tactics. For once I'm glad I'm not picking the team. I feel Ireland is vital to link the team together, yet would De Jong be vital for his energy and tackling to supress the Chelsea midfield? So does this mean dropping fit-again Barry? Not sure. Robinho is fit again, and looked lively against Hull. He's a big game player and a matchwinner and this is his scene. I would have had him down as starting, until Bellamy showed us once again what he is capable of against Arsenal. The manager is paid to make these kind of decisions and whoever he chooses, the other is always capable of making an impact coming off the bench. Hopefully, with Chelsea having the confidence to attack us like the home team, we can keep them out (or their tally low enough) through good defending and a bit of luck and show our quality on the counter. Our big names (Ade/Tevez/Robinho if he plays) need to be at their best. CTID. Was delighted with the win. Hopefully now we can go on a run through Christmas!